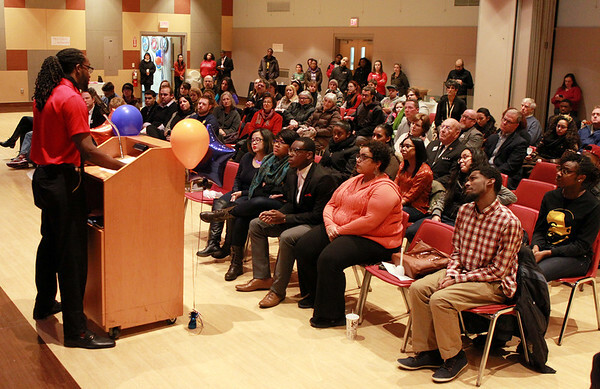 A large group of Salem State University students, Salem residents, and Salem elected officials listen to Assistant Resident Director Sherard Robbins, left, as they came together in Veterans Hall inside the Ellison Campus Center for a candlelight vigil and Freedom March on Monday evening. DAVID LE/Staff photo. 1/19/15.